At Texan Home Buyer, we are experts in buying properties fast in Apartment Buildings or and surrounding areas with cash. 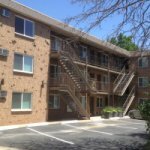 Do you have an apartment complex that is more of a burden than it is worth? We buy apartment buildings throughout Texas. No matter what your situation may be, we can find a easy solution to fit your needs. We have been buying property throughout Texas for over 34 years. Just as we have helped many others, we can help you. Need to sell an underperforming apartment building and avoid losing money every month? Need to sell a property in need of major repairs? Want to sell an apartment building fast without the fees and hassle? Do You Need To Sell Your Apartment Fast? We Buy Apartment Buildings! We can buy your house in Apartment Buildings or. Contact us today! Have you tried to sell your apartment building but are running into roadblocks? Have you even tried calling a real estate agent only to get the runaround? In many situations, selling a house the traditional way with a real estate agent is simply not the best for everyone. First you have to find a real estate agent who you can trust to deliver on their promise (selling your house fast). We help local property owners just like you, in all kinds of situations. From divorce, foreclosure, death of a family member, burdensome rental property, and all kinds of other situations. We buy apartment buildings in Texas and surrounding areas. Sometimes, those who own property simply have lives that are too busy to take the time to do all of things that typically need to be done to prepare a house to sell on the market… if that describes you, just let us know about the property you’d like to be rid of and sell your apartment building fast for cash.